magazine based on empowerment. The full website is expected to launch in 2011.
educated decisions. DTK will achieve this through video interviews, articles, blogs and various online formats. 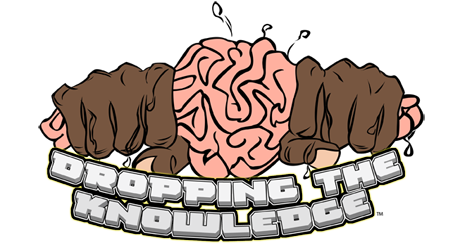 Dropping The Knowledge content will also be distributed via our website, podcasts and mobile devices. archived and searchable on the site. Our objective is to provide viewers with content that entertains and teaches at the same time. In turn the subject matter will bring people together and cause them to discuss and share the information and ideas. It is these last two principles that will be the catalyst of impact. We want our content to not only impact individual lives but communities as well. This is where you come in as an Impact Partner for Lanier Interactive. We want our content to be more than just gathered research. We want the knowledge and information to come directly from qualified and accomplished individuals and companies. This is achieved through video interviews, articles, blogs, podcast and live events. Lanier Interactive Impact Partners are at the front lines of providing information, resources and services to our viewers, readers, and attendees. Thus the relationship between LI and our Impact Partners is symbiotic. As Impact Partners provide information to LI they in return are exposed to the ever increasing LI network. Download Impact Partner booklet for full details.